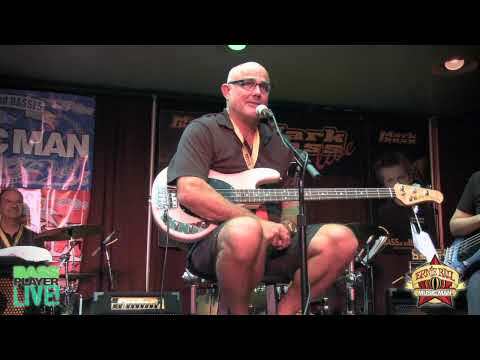 Sterling Ball is a legendary figure in the music world, an award-winning bass designer, industry leader, and also an accomplished bass player who performs with such friends as Albert Lee, Steve Lukather and Steve Morse. 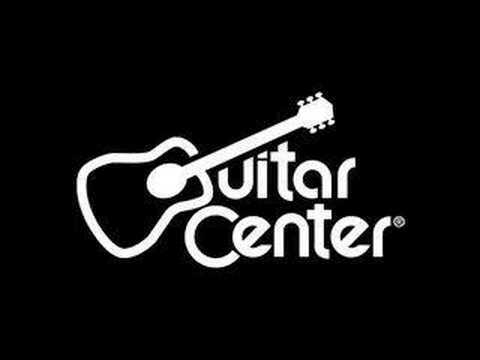 Growing up miles from the mecca of popular music, Hollywood, California, Ernie Ball created the first ever guitar-only retail store. Sterling Ball was fortunate to have been taught by his father Ernie, a true music industry pioneer. Sterling's inception into the music industry took place at the ripe age of 9 years, maintaining the company's cash register. Shortly thereafter, Ernie Ball implemented a private label marketing and distribution company. One of Sterling's first tasks was to vertically integrate a complete manufacturing infrastructure. Under Sterling's guidance, the company's workforce has increased from 14 to approximately 400 employees. Finding his passion at a young age, Sterling beta-tested and developed instruments for Leo Fender. He gravitated towards the creative aspects of designing instruments and was the catalyst in purchasing Music Man years later. As an instrument designer, Sterling and his team have designed instruments for Keith Richards, Paul McCartney, and Good Charlotte to name a few. His most recent design effort, The Bongo Bass, was a joint venture with BMW Designworks. Representing over 75 music publications, The Music Industry Press Association (M.I.P.A.) awarded the Bongo "The Best New Bass" award in 2003. Under Sterling's direction, the Ernie Ball brand is closely tied with the lifestyle trends of the youth culture. As an art director he has won seven national design awards, including three Communication Arts Awards for t-shirt and print ads. Additionally, Sterling developed The Ernie Ball Battle of the Bands, currently the world's largest live music promotion. A breeding ground for emerging unsigned talent, The Battle of the Bands provides opportunities for unsigned bands to play live on the world's largest festivals including the Vans Warped Tour, the Rockstar Taste of Chaos, and most recently the Eric Clapton Crossroads Guitar Festival. An accomplished musician in his own right, Sterling has played guitar and bass on numerous Grammy nominated albums. His command on the bass guitar proved evident as he rounded up a dynamic rhythm section in a super-group with the likes of Albert Lee, Steve Lukather, and Steve Morse. The band, Biff Baby's All Stars, has toured across Europe, Asia, Australia, and the USA several times. Aside from his achievements in the music industry, Sterling's philanthropic efforts have touched the lives of many families. In 1992 he established The Casey Lee Ball Foundation, a nonprofit charitable organization dedicated towards providing funding for the research of pediatric kidney ailments. The UCLA Children's Hospital receives 100% of every dollar raised. Now an endowed chair, The Casey Lee Ball Foundation has raised over 7.5 million dollars helping to reduce the side effects of anti-rejection medicine. Sterling was selected as the founding board member for the Mattel Children's Hospital and the Executive Committee for the Mattel Children's Hospital at UCLA. Most recently, he has been selected to head the newly created strategic advisory committee for the chief of staff at UCLA. Sterling is just finishing his first term on the board of directors of NAMM, (National Association of Music Merchants), the music industry's leading trade organization. He served on the market development committee, and was instrumental in forging an alliance with the Boys and Girls Club of America. The alliance has recently created an after-school music program, providing a supervised safe alternative for children and young adults. Sterling has spoken around the world regarding Open Source Software. Under his direction, Ernie Ball was one of the first companies in the world to abandon Microsoft products and embrace other open source alternatives. Sterling has been featured in USA Today, Wall Street Journal, CNET Slashdot, London Times, The Financial Times, and INC. Magazine to name a few. Sterling currently resides in the renowned golf-haven of La Quinta, CA. His hobbies include golfing, cooking, and spending time with Stacey, his wonderful wife of 30 years. Sterling and Stacey have three sons, two of which are carrying the Ernie Ball torch into the next generation. Capitalizing on instincts and passion, Sterling Ball has set a standard of excellence for the guitar industry. The driving force behind Ernie Ball, Inc., Sterling has propelled the company into global prominence with his creative vision. He is cementing a remarkable stamp on the music industry while touching the hearts of many. Says Sterling, "What's not to like about Markbass? They are the best sounding amps I've ever played, and they're light as a feather. It's really exciting to see a company with so much talent and innovation."